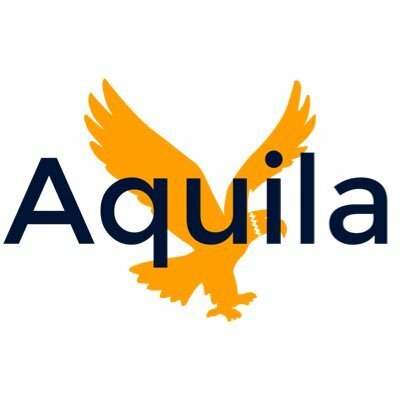 Aquila is the student-produced, student-edited high school newsmagazine and news site of University Preparatory Academy in San Jose, California. It is currently overseen by editors-in-chief Emily Hung and Nicole Rendler, and the staff is composed of two high school classes located in Cornell during fifth period and in Howard during seventh period. Copies of the most recent issue will always be available at the front office. On the homepage, you will be able to access the online version of our newsmagazine as well as online exclusives pertaining to the magazine. Aquila serves as a designated public forum for student expression. We aim to reflect the diversity of our community and build unity through true and accurate reporting, in hopes that each of our readers will find a story they can connect with. As student journalists, we value the importance that our work serves in creating the first rough draft of our school’s history. Please visit our website frequently for new stories and updates. Follow us on Instagram at https://www.instagram.com/upa_aquila/. 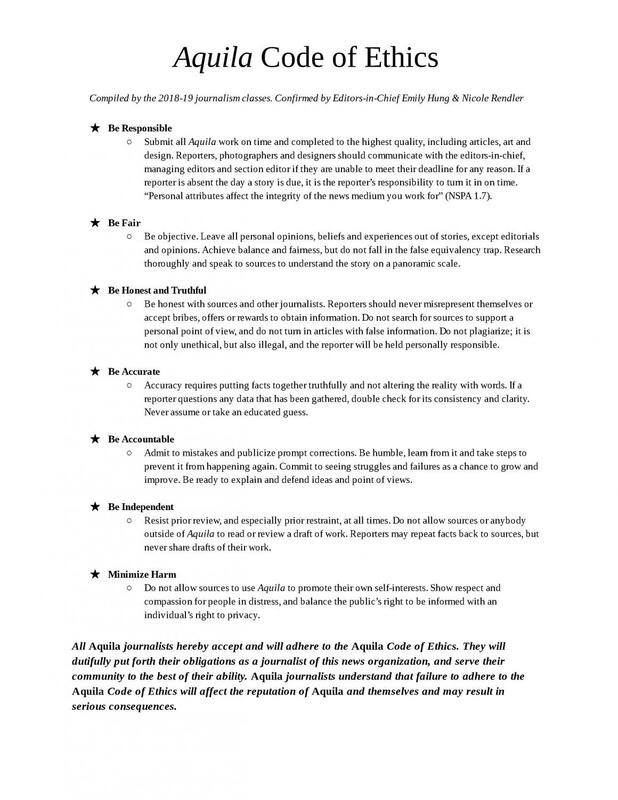 Below is the Aquila Code of Ethics, compiled by the journalism classes of the 2018-19 school year. These are the core values and standards to which Aquila journalists are held.